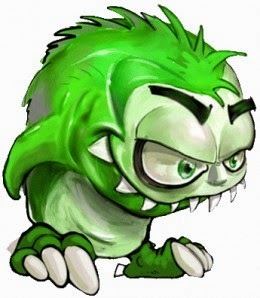 It's confession time and today I'm admitting to the appearance of the Green Eyed Monster from time to time. They always say that people who can do something always wish they could do something else... Tennis Players wish they were Rock Stars, Chefs wish they were Footballers. I'd quite like to be a decent illustrator. I read Malachy Doyle's post on the Picture Book Den Blog last Sunday with great interest. His post, entitled 'DON'T DO IT! - How NOT to write a picture book' was simple and well written, offering sound advice for all wood-be picture book authors and a good reminder for those that already write picture books. Of all the points Malachy made the one that stood out to me most was simply "Don't think it's easy"... Many people mistakenly think that because a book has very few words it must be easy to write, however, there's a definite craft to writing a picture book story (and I'm very much still a learner) which is often belied by their seeming simplicity. I've written quite a few books where the number of words is often predetermined and I know how much I can agonise over these in a bid to get the story to sound right with so few words available. Picture books aimed at a mass market are a little different though as with a picture book the skill is to tell the story effectively, incorporating a rhythm to the text so that it can be read aloud and shared. The low word count comes from the author's ability to effectively use 'all the right words in all the right places' (to misquote Eric Morcambe). Again, Malachy put it perfectly "Rhythm, and a delightful ease in the telling, are key". Personally, I find myself agonising over a picture book text more than anything else I do, often spending a seemingly ridiculous amount of time playing with the words and often ending up with little to show for it... but in the end it can be all worth while. I've lost count of the number of times that I've picked up a new picture book in a library or bookshop, read it and been left thinking, often unfairly, is that it? Yes, there are those occasions when I'm left wondering how on earth a some books could have been published and at these times I just grind my teeth and return home to carry on working. But there are also many occasions when I'm left knowing that the author has got it spot on. A perfect picture book... At these times I've also been known to grind my teeth and return home to carry on working. In the picture book world there are authors and there are illustrators. Together, their combination of words and artwork marry together and create something that is somehow greater than the sum of the two parts. But there's another breed too... not content to do one thing or the other, some people insist on writing AND illustrating - and doing it well too. Don't get me wrong, I'm not saying that those with the ability to do both should be locked away for all eternity - far from it - I'm merely confessing to the little pang of envy that I occasionally feel after reading a book/text and feeling (perhaps wrongly) that had I submitted it to a publisher it would have barely been given a second glance. 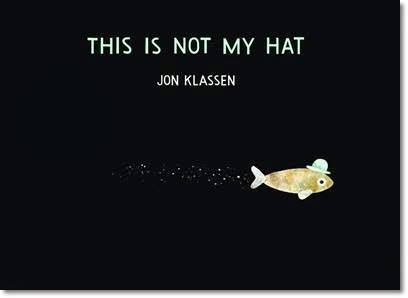 I had such a feeling a couple of weeks ago after reading Jon Klassen's excellent, and thoroughly deserving award winner, This is Not My Hat. The text and the illustrations all deceptively simple, yet spot on. A perfect picture book. I love that the stories I write get illustrated by so many fantastic illustrators but I do find it frustrating to come up with ideas that I know won't the light of day because I'm not able to present them more effectively to a publisher. Solutions gratefully received. Enough of the teeth grinding for now - back to work. Yup - envy and awe!